Guests will love our convenient location along Boston's historic Long Wharf pier, just steps from the New England Aquarium, Faneuil Hall Marketplace, and a host of other exciting attractions. The city's financial district is close by as well. The Boston Marriott Long Wharf welcomes you with sophisticated design and intuitive service, paving the way for a truly memorable hotel experience. Business travelers and vacationing families will love our convenient location along Boston's historic Long Wharf pier, just steps from the New England Aquarium, Faneuil Hall Marketplace, and a host of other exciting attractions. The city's financial district is close by as well. Our beautifully appointed hotel rooms and suites are filled with superior amenities, including plush bedding, 37-inch flat-screen TVs, and well-lit workspaces with high-speed Internet access. Ask about our allergy-friendly rooms, and enjoy additional comfort for your Boston visit. Waterline, our on-site restaurant, features fresh New England dining and terrific waterfront views; our breathtaking harborside ballroom venues feature state-of-the-art technology, complemented by our expert planning services. We look forward to making you feel at home here at the Boston Marriott Long Wharf. 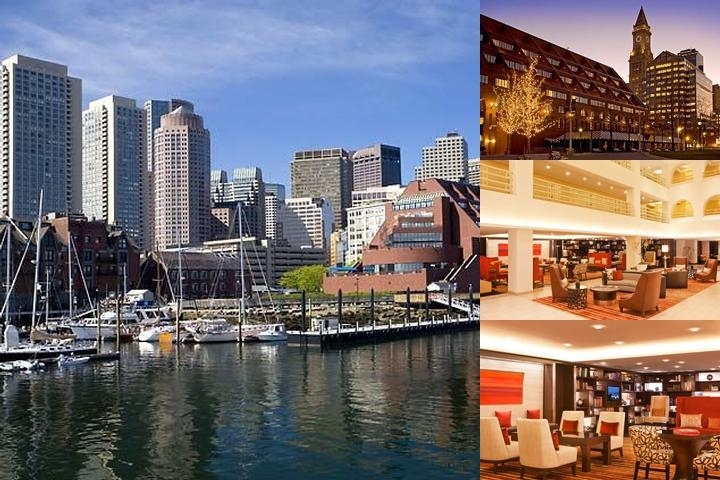 Below are the meeting, banquet, conference and event spaces at Boston Marriott Long Wharf. Feel free to use the Boston Marriott Long Wharf meeting space capacities chart below to help in your event planning. Hotel Planner specializes in Boston event planning for sleeping rooms and meeting space for corporate events, weddings, parties, conventions, negotiated rates and trade shows. 22 x 23 x 8 Ft.
120 x 57 x 50 Ft.
25 x 41 x 13 Ft.
110 x 23 x 9 Ft.
82 x 100 x 13 Ft.